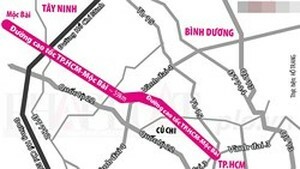 Many localities in the two central provinces of Quang Nam and Quang Ngai are suffering flooding and landslide because of non- stop heavy rains and flood release from hydropower dams and irrigational works in the recent days, making interrupted traffic. Floodwaters began receding slowly from last night. According to the Sai Gon Giai Phong Newspaper’s reporter, the floodwater on Gianh river slowly reduced because the Ho Ho Power Plant continued releasing water yesterday. By 5pm yesterday, the Ho Ho Hydropower Plant continued reducing water volume from 329 meters cubic to 209 meters cubic in the lowland areas. 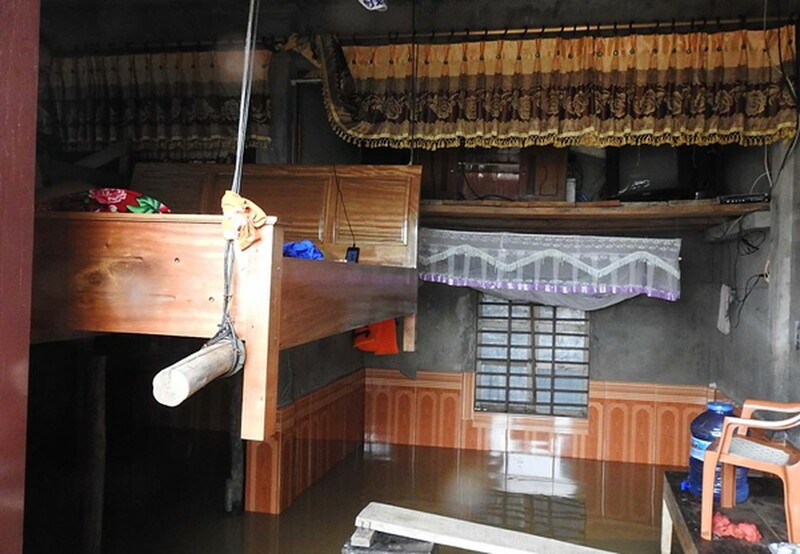 Nearly 2,000 houses in Quang Ninh and Le Thuy district immersed in serious flood. The severe flood swallowed five people. 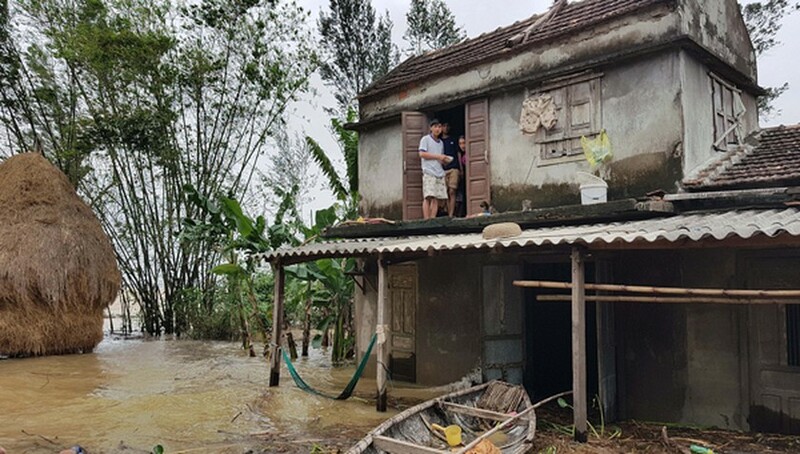 Deputy Chairman of the People’s Committee of Ha Tinh’s Huong Khe district said that the floodwaters began receding slowly last night; however, many localities have been entirely isolated at this time. Residents have to move their properties to higher position. 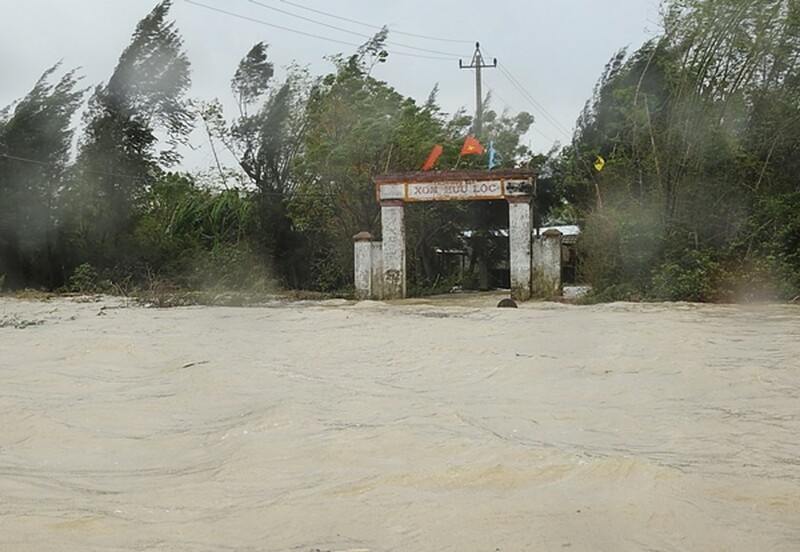 Long- lasting heavy rains caused serious landslide and difficult traffic in the National Highway 40 B across Quang Nam province, and the National Highway 1A across Quang Ngai province. Two fishing vessels were sunk by heavy rains and flash flood in Quang Ngai, fortunately, 14 ship members were rescued. On the same day, a cyclone blew off two houses and 18 roofs of houses in Hoai Nhon ditrict of Binh Dinh province. Around 1, 200 houses, 1, 300 hectares of rice and vegetable crops were completely destroyed by the natural disaster. In order to avoid the worst situation, the water reservoirs and hydropower dams paralleled flood release in Quang Binh, Quang Tri and Thua Thien- Hue. Meanwhile, the water level at reservoirs of the South Central and Central Highlands regions reached 70- 80 percent compared to their capacity. Therefore, Quang Nam’s Song Bung 4, Dak Mi 4 and Song Tranh 2 Hydropower Plants implemented flood discharge at 450- 2, 000 meters cubic on the same day. Dealing with the complicated weather condition, the National Steering Committee on Natural Disaster, Search and Recue asked the flood- hit localities should set up flash flood and landslide warning systems, plan for moving residents to safety places, and control flood release following the plant’s flood release process. The committee also called on Transport Ministry and Industrial and Trade Ministry must ensure traffic systems and electricity network for the flood- hit localities. According to the latest news from the National Hydrology Meteorology Forecast Center, a pressure trough being side by side with a tropical low depression is causing medium- heavy rains and thunderstorms in the southern region. By 1pm today, total rainfall is expected to reach at 20- 40 mm, even up to over 50 mm. The weather condition in Ho Chi Minh City and the southeast region will be deep cloud, medium- heavy rain, lighting and cyclone.